The revolution of LED screens has also reached the Football World Cup of Brazil 2014. The inaugural match of Brazil against Croatia took place at the Corinthians Arena of São Paulo. The largest LED screen in the world in a sporting facility has been installed in that stadium. Located on the outer facade of the building, it measures 170 metres long by 20 metres high and it is comprised of more than 34,000 LEDs and it is one of the main lures of this football stadium. Furthermore, on the inside, another four LED screens have been installed, measuring 30 x 7.5 metres so that spectators will not miss any details of what happens in the matches that take place in the stadium. During the previous World Cup in South Africa 2010, no LED screen stood out in the host stadiums of the competition. One giant LED screen was installed in one of the most emblematic buildings at Johannesburg, the Life Centre. It was considered the largest in Africa until that time and it was installed by the well-known sports brand as a support for messages sent from the social media to the footballers of the World Cup, within a Social Media Marketing campaign. With its 44 metres high and 42 metres long, the total size of the panel covered 8,400 m², more than sufficient to cover the entire playing field of a football stadium. 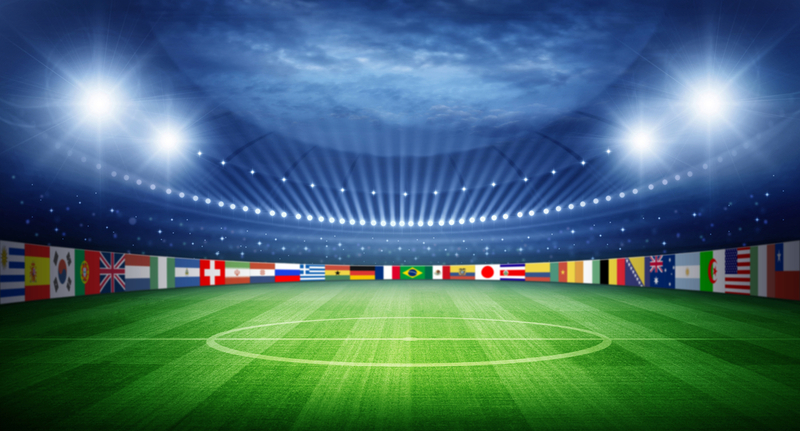 Organisers of large events such as the Football World Cup, as well as the sponsors and professional teams, are aware of the potential of LED screens in sports stadiums, and they currently form an essential part of the planning of any new facility or in the improvement of already existing ones. They have become essential in elite sporting premises. 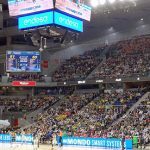 At Mondo Iberica we commit to LED screens in sports facilities, as an essential element at any event related to sport. 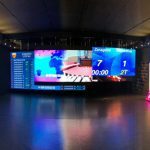 Not only as the typical panel informing about time and results, but also as another part of the show, allowing spectators to experience the matches in a very different way, making the sporting experience even more intense. Until not very long ago, the majority of sports stadiums were equipped with display type scoreboards, which showed the result of the match and the time, but very little more. 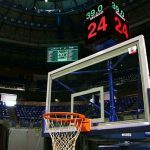 With the arrival of LED technology and all the possibilities it offers, leading teams of professional sport have started to install giant LED screens as part of their communications strategy, and often, they become part of the show. International events such as the FIFA World Cup, the Olympic Games or major sports clubs, commit clearly and decisively to LED screens. And the larger the better. 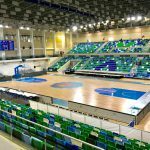 Nowadays it is quite normal to watch football matches or basketball games, where courtside advertising is no longer a simple static rectangular board, but LED screens are used to make the product promoted more dynamic and provide advertisers with greater visibility. This is, perhaps, the most popular because it is what the spectators see on their televisions at home.